A Communist is merely a socialist in a hurry. Vester Lee Flanagan, by his own description, was an impatient social justice warrior. The murderous means he employed to punish those he accused of bigotry made visible the latent lethal violence that resides in State policies oriented toward the same objective. 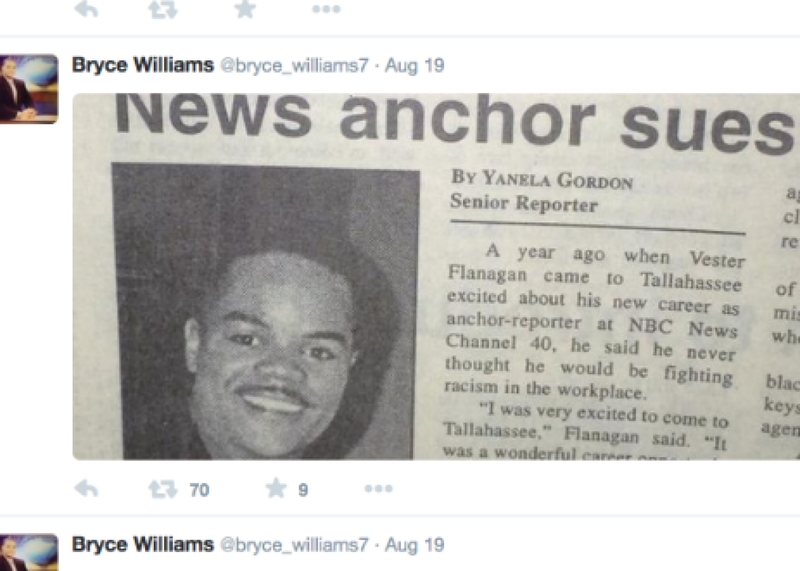 Flanagan, also known by the professional name Bryce Williams, was a promiscuous petitioner to the EEOC. After apparently growing weary of seeking to bureaucratize the violence he wanted to inflict on his former colleague, he chose a more direct approach, one we could call retail-level Leninism. As a representative of the "Who" -- presumptive victims of discrimination -- Flanagan exercised "power without limit" by killing two individuals numbered among the "Whom" -- those presumed to be motivated by prejudice. In calculating the moral price of the murders in Roanoke, psychologist James Garbarino of Loyola University – like most of the Custodians of Correct Opinion – gave the Social Justice Avenger an identity-based discount, and passed the costs on to others who don't belong to a specially protected category. "The culture that we live in that supports and fosters violence that has such a strong theme of racism and homophobia all of that obviously was building up inside this man's head,” Garbarino pontificated. Assuming that Garbarino intended to convey an intelligible argument, rather than leaving the air clotted with thought-stopping buzzwords, his statement actually ratified Flanagan's rampage as an understandable reaction to private bigotry. On this construction, the amorphous abstraction called “society” is implicated in Flanagan's consummately anti-social act – and his victims own at least a portion of the blame for the criminal violence that ended their lives. A more reasonable assessment is that he was an apt pupil of the Regime – “the potent, the omnipresent teacher,” in the words of Supreme Court Justice Louis Brandeis. In the deranged outpouring that has inevitably been christened a “manifesto,” Flanagan name-checked prior mass murderers and claimed that “what sent me over the top” was the murder spree in Charleston by the similarly demented bigot Dylann Roof. Acknowledging that it is perilous to seek a thread of rationality in the tapestry of delusion woven by Flanagan, I would suggest that he clearly regarded the “nasty racist things” he supposedly experienced as a “gay black man” as offenses worthy of violent reprisal. On those occasions when someone of Dylann Roof's persuasion – broadly defined – engages in an act of large-scale criminal violence, somebody in the State's stable of collectivist chin-pullers will issue an indictment against the “authoritarian personality,” which is supposedly found only on the rightward end of the political spectrum. Authoritarians are supposedly characterized by rigidity in thinking, deep distrust of diversity, and an irrepressible urge to punish those who deviate from traditional norms. It's hardly a novel observation that many conservatives live down to that description – but any honest observer will admit that there is a plethora of punitive progressives, as well. One key distinction between authoritarian conservatives and their progressive counterparts is the fact that people in the latter category expect the targets of punitive intervention to be not only penitent, but grateful, for State-administered correction that can destroy reputations, ruin businesses, and rend families asunder. Those refractory, incorrigible people who simply resist the chastening hand of progressive correction must be banished from “respectable” society. During the Obama Era, this familiar doctrine of totalitarian “tolerance” has expanded to include actual bloodshed – not yet of the official variety, at least domestically, but as part of a breathtakingly cynical political trade-off. 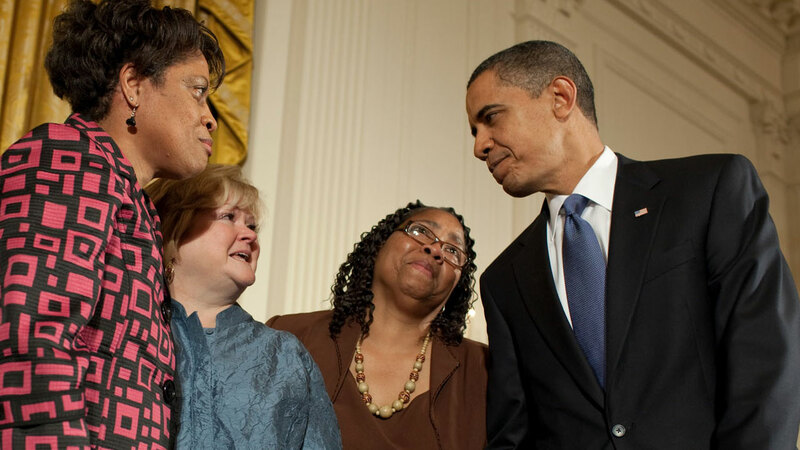 Divine dispenser of lethal violence: Obama at hate crimes bill signing. 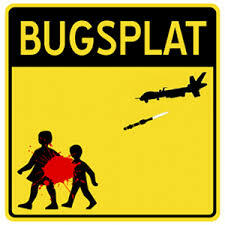 In 2009 – as previously noted in this space – the Obama administration attached federal hate crimes legislation to a $680 billion military appropriation bill, thereby creating a remarkable hybrid – a measure that would authorize unremitting slaughter abroad and aggressive pursuit of thought criminals at home. "It was a clever piece of marketing. It blunted debate about new funding for war. And behind the closed doors of the caucus rooms, the Democratic leadership told Blue Dog Democrats, who are squeamish about defending gays or lesbians from hate crimes, that they could justify the vote as support for the war. They told liberal Democrats, who are squeamish about unlimited funding for war, that they could defend the vote as a step forward in the battle for civil rights. Gender equality groups, by selfishly narrowing their concern to themselves, participated in the dirty game." Yes, the war funding meant, as a moral certainty, that innocent “people of color” – including women and children – would suffer violent, unnecessary death or permanent disfigurement. This would, in turn, expand the recruiting pool for anti-American terrorists, given that every time a drone-fired missile kills a child it simultaneously creates several dozen potential suicide bombers. But of such broken eggs are policy omelets made. Besides, they're not all that important, you know. Among the groups who endorsed the legislation, thereby taking ownership of the slaughter, were the so-called Anti-Defamation League, the self-styled Human Rights Campaign, the fraudulently named Southern Poverty Law Center, and nearly every other foundation-funded, State-centered “watchdog” group. Because of their involvement, they enjoyed a huge windfall in fund-raising, enhanced stature in Obama's Washington, and expanded influence with domestic law enforcement and administrative agencies. Yes, brown people overseas would die horribly as a direct result of an arrangement endorsed by the self-anointed leaders of the Tolerance Industry – but this was a tragically unavoidable sacrifice in the service of the larger good. After all, there are racist, homophobic, and misogynist “micro-aggressions” to be dealt with, and surely the traumatized feelings of victims exposed to such cruelty are injuries worthier of immediate attention. Never forget: Bombs and drones break human bones, but only “hate speech” can truly hurt us. Besides, when indiscriminate drone strikes are carried out by a paladin of progressivism, they're acts of applied tolerance, not violence. 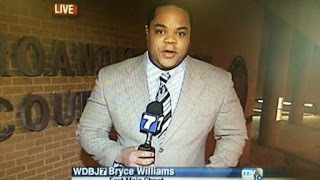 Some commentators, in an ill-advised riff on Barack Obama's familiar and equally wrong-headed observation about Trayvon Martin, have suggested that if Obama had a son, he might look like Vester Lee Flanagan. Much more importantly, if the alliance that created the 2009 federal hate crimes act – call it the Coalition for Progressive Mass Murder and Thought Control – had begotten a child, he would think and act the way Flanagan did. Great write up will. You the man. You should check out the police shooting that just occurred in Hunters, WA. The dude was shot in the back of the neck, or as it was reported in the news, "below the jaw". 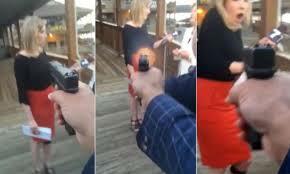 Very sad thing that happened to this woman and her cameraman. This was racially motivated. I doubt either of them were racist people, just two young people in the prime of their lives. 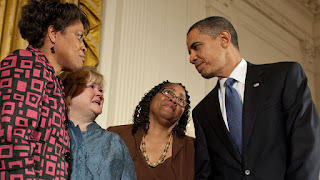 Obama and his surrogates such as Al Shapton have stoked racial tensions, unfortunately many innocent people have been killed because of his wreck less rhetoric and apparent hatred of White people. Not a fan of Bush or Clinton, but these types of racial killings were not as prevalent during their terms.I look forward to a new administration next year, this one has been a disaster. I believe you're correct. When I saw the "dad" giving interviews and advocating gun control the very same day his "daughter" was "murdered" on camera, all the while not looking at all like a grief stricken parent (and doing some really bad fake crying and apologizing for losing control) I concluded this was a hoax like Sandy Hook and others. Will, I always enjoy your articles, but this story stinks something awful. Thank you for your article. As always, your insight into these incidences of is invaluable. The Prohibitive Price of Government "Protection"